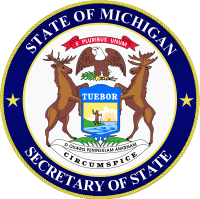 Michigan Drivers will be able to avoid first traffic violation because the Secretary of State will not make the points or information from the ticket available to insurance companies for Michigan drivers who successfully complete the BDIC through an approved sponsor. This is an online course that allows Michigan drivers to avoid getting points on their license for minor traffic violations. Michigan Secretary of State’s new “Basic Driver Improvement Course” can be found by clicking here. The website is the result of a new state law that took effect Dec. 31, 2010, that allows drivers cited for offenses such as speeding, improper passing or disobeying a stop sign to qualify to have points kept from going on their driving record by completing a course. You can order your Michigan driving record from the highlighted link. Eligible drivers have 60 days to arrange for and pass the course and may retake it as many times as necessary within that time. The cost for the course is set by the test provider and will not exceed $100. Drivers are still responsible for paying fines and court costs involved in the traffic violation. Is it the 60-day period of course eligibility for a previous ticket. Currently has already avoided points under the program. If your license is restricted, suspended or revoked or if you were not issued a Michigan license. If you have three or more points on your record. Michigan drivers can benefit from having points removed. Click the link to see what happens if you have to participate in the Michigan Drivers Responsibility Program. Michigan drivers may incur additional fines if they accumulate a lot of points on their driving record. Michigan drivers insurance will also not be affected if the points do not show up on their record.